I LOVE Valentines Day! I realize that it is a day built by commercialism (the greeting card industry), but if you ignore that, you can make it a fun day with your friends, family, and loved ones! Why not give them something nice, but also inexpensive? 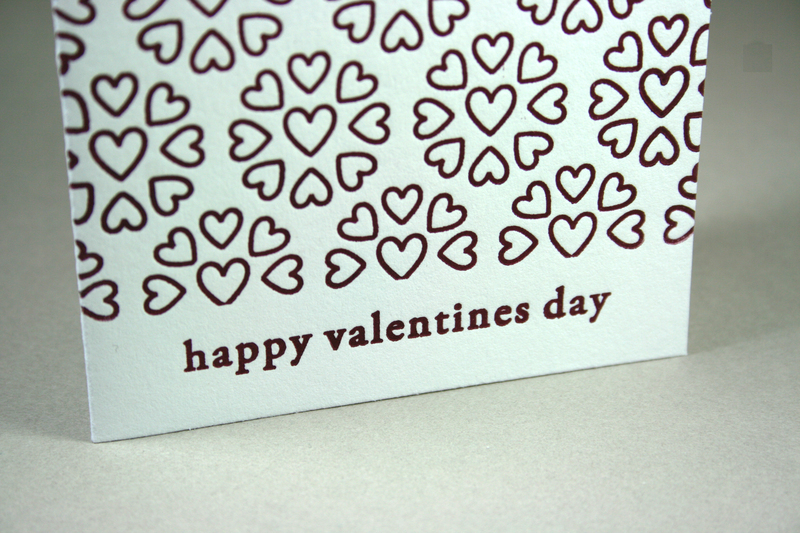 A letterpress greeting card is a good choice. 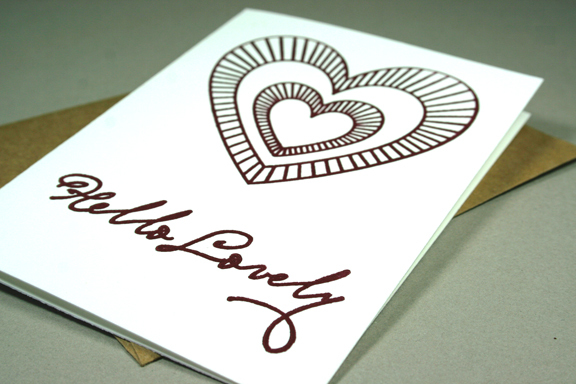 Each card is a work of art created by hand on a vintage letterpress machine (used before we had digital printing!). 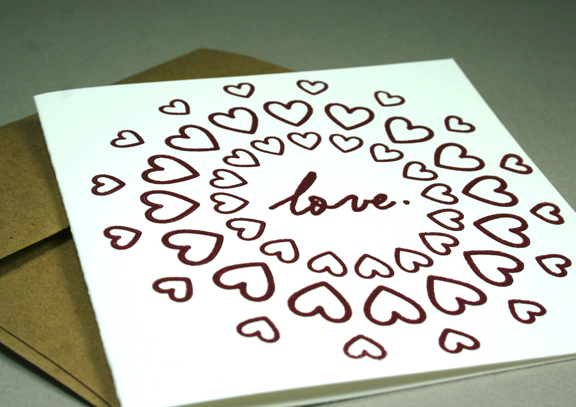 The cards are printed on 100% cotton crane paper and come with a recycled kraft paper envelope. Blank inside for your message. You can purchase the cards in my Etsy shop here.